What is Ajwain - Ajowan? 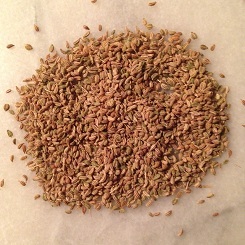 Ajwain - Ajowan seeds are from an annual herb. 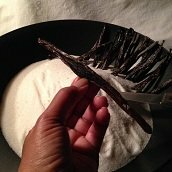 It is related to Caraway Seed, Cumin Spice and Dill. It has a slightly smoky peppery taste. 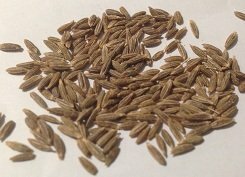 What is the Origin of Ajwain - Ajowan? 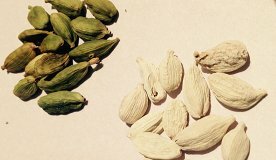 It is indigenous to India, and is cultivated in Middle Eastern countries including Afghanistan, Egypt, Iran and Pakistan. The seeds are used heavily in the foods of southern India, especially for vegetarian dishes and those with lentils and legumes. What Are the Health Benefits of This Spice? 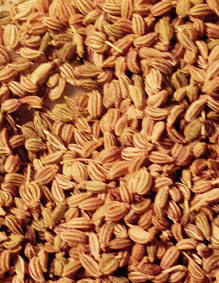 Ajwain - Ajowan is considered to be a carminative that will reduce flatulence (gas). It has been used to ease digestion, and is believed to be an aphrodisiac.